For coaches and team managers, here are the best ways to purchase high-quality discs in bulk quantities for your team(s), ordered from least to most expensive. Costs are approximate, based on late 2014 early 2018 quotes and conversion rates, and are somewhat specific to orders being shipped to Seattle (shipping costs vary regionally). If you order from one of these sources and want to share your experience (cost, delivery time, quality, etc.) — just leave a comment and we’ll add your data to this post. All makes/models listed here are approved as meeting USA Ultimate’s Disc Technical Standards. Be careful to order the right size disc, though! (They are listed here together…) The 175 g discs are used in most ultimate; the 145g discs are intended for younger players, generally in 4th or 3rd grade, or younger (although they’re great for traveling or camping, too). These are misprinted Disccraft discs only for use in K-12 programs in the U.S.
2017, March: turn-around time of 10 days (mailed order from Seattle on 3/3; school received on 3/13!). New in 2017, these high-tech discs use a slightly softer plastic but fly great (see our 2017 review). Turn-around time is not yet clear for discounted bulk orders (but their custom orders typically take 4-5 weeks overall, 3-4 weeks from payment). 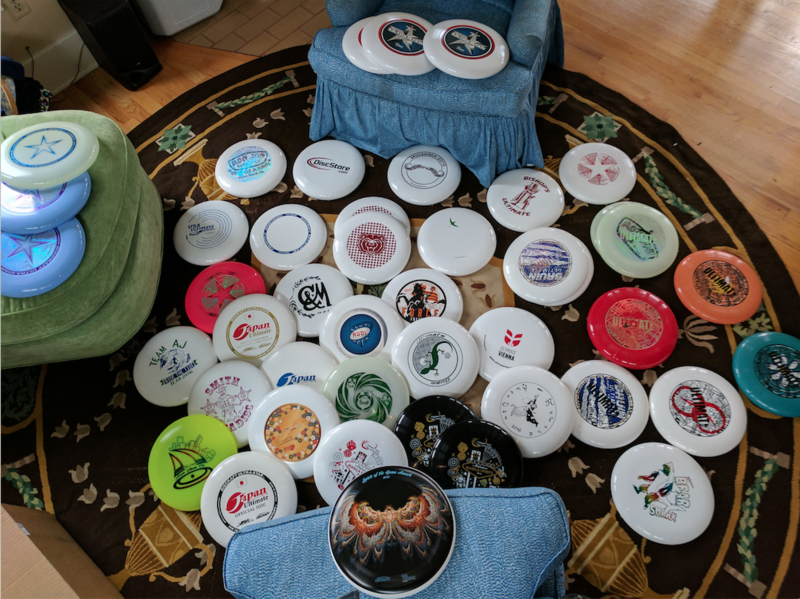 They offer a 10-pack of practice discs for $12/disc, often on sale for $6/disc, and donate a single disc for each pack sold. 2018: free shipping is being offered for orders >$100. If you are a coach, team manager, or PE teacher (and especially if you are already a USAU member) the cheapest source of 10-15 discs may be one of the USA Ultimate kits (60-70$ $107 [$90/kit for members in 2018, plus $17 shipping/kit] for members) because they come bundled with valuable supporting materials… $70/15=$4.67/disc e.g. the PE kit comes with cones, curriculum, DVD, rule/spectator guide. portion of sales goes back to DiscNW! 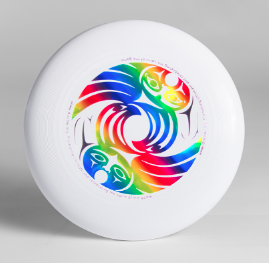 The famous DiscNW rainbow logo disc. 2017 (March): out of stock! 2018: link is broken. Only J-stars on their site now seem to be a 3-pack for $24 plus $5 shipping, or $9.66/disc. 50 discs (5 orders of 10-pack) is $150+$28.60 for shipping (about 19% of disc cost), yielding a total of 178.60 or $3.57/disc.